Saturday’s engage Super League game between Salford City Reds and Hull FC ended in controversy as Hull were awarded two contentious tries on the nod of the video referee to ensure that they edged out a Salford side who were in control for the better part of the eighty minutes. 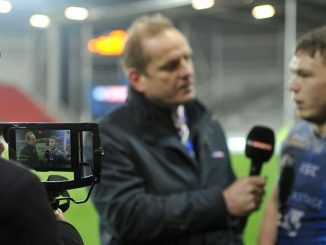 Not surprisingly a lot of debate has centred on the effectiveness of the video referee system. The second try came in the closing minutes and sealed the game for the visitors, but it appeared that Gareth Raynor had lost the ball before grounding it. That was simply a poor decision, but the first incident asked questions of the way that the system itself operates. Motu Tony forced his way over the Reds’ try line and was held up by two Salford defenders. Referee Steve Ganson was unsure whether Tony had touched down or not, blew the whistle to stop the game and referred the decision to the video referee. Then Tony rolled over and grounded the ball. Tony was clearly held up until the point were Ganson ended play by blowing the whistle. However, the video referee makes his decision without the benefit of any sound as the noise from the crowd may influence him. So the only decision he could make was to award the try as Tony had grounded the ball – he did not know that the grounding came after Ganson had brought play to an end. The question now is how to ensure that such a mistake does not happen again. One suggestion that was mooted in the aftermath of the game was to stop using video referees and instead allow the referee himself to view the replay on the big screen and make his decision that way. This would stop incidents like Saturday’s where the video ref is not aware of where the referee has stopped play. The use of technology in decision making is something that is necessary in today’s sports, but a way needs to be found of making the use of technology effective. Many rugby league people seem to think that expansion by necessity involves the creation of a Super League franchise in the south, in Wales or somewhere on the continent. Anyone who is under that impression – and I include the RFL in that – needs to have a look at this quote from William Masterton, Chairman of the Jamaican Rugby League association (JRLA). 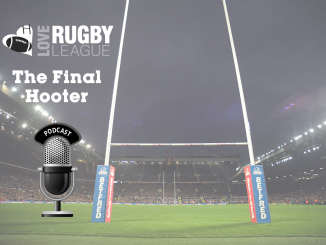 “It started with a telephone call from a couple of guys in Australia three years ago, who told me they thought Rugby League would go down well in Jamaica. There was absolutely no awareness of the game at all, but interest has grown very quickly. The key thing here is that the Jamaicans are developing from “the grassroots up”. That means starting at the bottom and making sure that the structure is in place before making a move that may be too ambitious. At the moment the Jamaican domestic league is still developing and at the end of the year a national side will be chosen to play in World Cup qualifiers. The Jamaicans have received help from both the RFL and the ARL and have recently announced a link up with Leeds Rhinos and Leeds Metropolitan University. This will allow them to benefit from the experience of others. This is the only way that rugby league will spread – from the bottom up with the help of developed rugby league nations. There is clearly potential in Jamaica if hundreds of Kingston children have already taken to the game. All it takes now is for Jamaican RL to be pushed too far too soon and all this patient work will have been for nothing. Let’s bear that in mind before we decide to stick a Super League franchise in south Wales, and anywhere else that might make our premier competition look good for a few months. 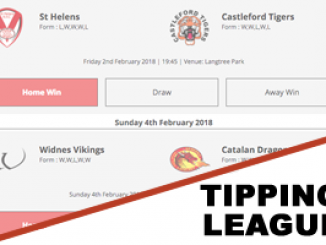 This Sunday sees the Northern Rail Cup final between Hull Kingston Rovers and Leigh Centurions at Blackpool’s Bloomfield Road and, along with National League Grand Finals day, is one of two days of the year when the National Leagues exist. For anyone intending to tune in to the live coverage of the final look forward to the commentators proclaiming how much quality there is in the lower leagues before next week going back to heavily implying that promotion and relegation be scrapped for good. The pundits are perfectly right to tell us that the National Leagues are full of quality, and those divisions should get a great deal more exposure than they currently do. For instance, Sky’s Boots’N’All programme used regularly to show highlights, results and tables from the National leagues, but at the start of last season this disappeared from our screens. Putting that to one side, this should be a great game between two of LHF National League One’s top clubs. Hull KR are the holders, while Leigh won the cup in 2004 but never had the chance to defend their prize. In effect this is the battle of the champions and it will be an intriguing contest. 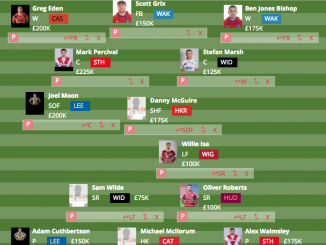 For Hull KR this is the beginning of three tough weeks. 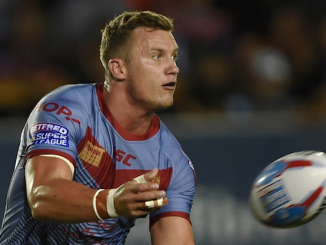 After the cup final they will take on second-placed Widnes Vikings at Craven Park before facing off with St Helens in the Powergen Challenge Cup semi-finals. The intensity faced by the players over that three weeks will be a serious test of their Super League aspirations.